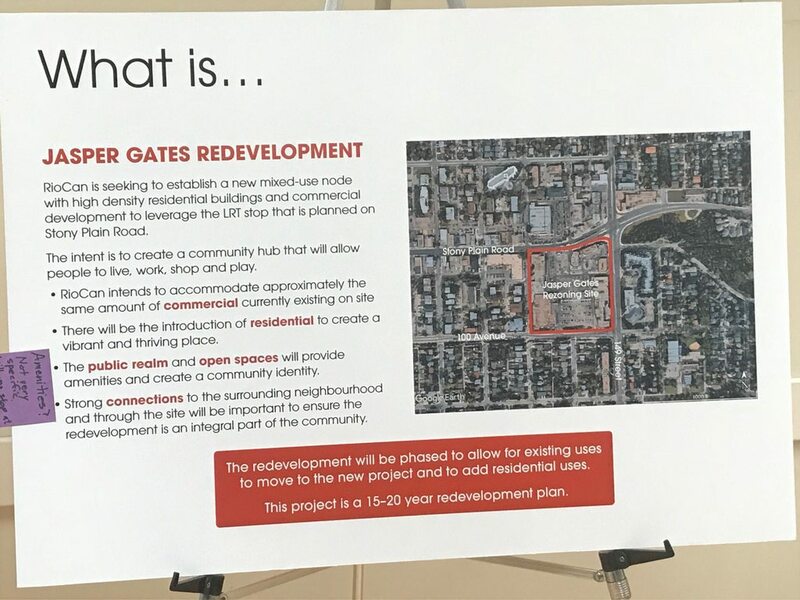 I received the post-card below in the mail today about a redevelopment project planned for Jasper Gates (the large shopping / commercial area on the SW corner of Stony Plain Road and 149 Street). 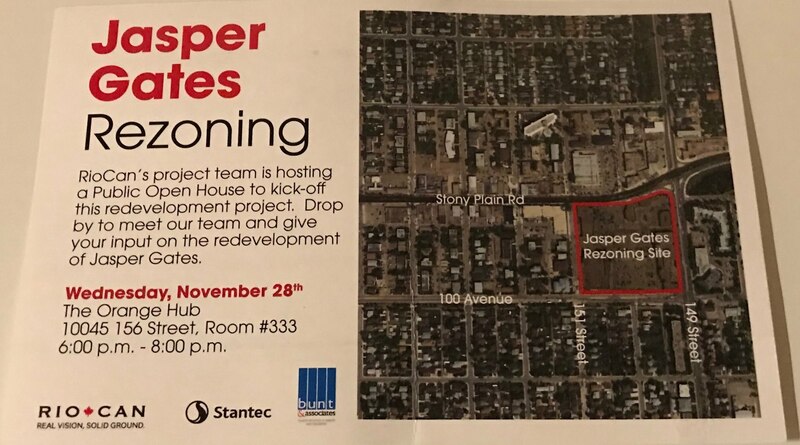 There will be an open house to discuss the project from 6 - 8 p.m. next Wednesday, November 28th at the Orange Hub (10045 156 Street, Room # 333). That’s good news. That parking lot alone is a disaster. So this is a redevelopment of all the retail in this space? 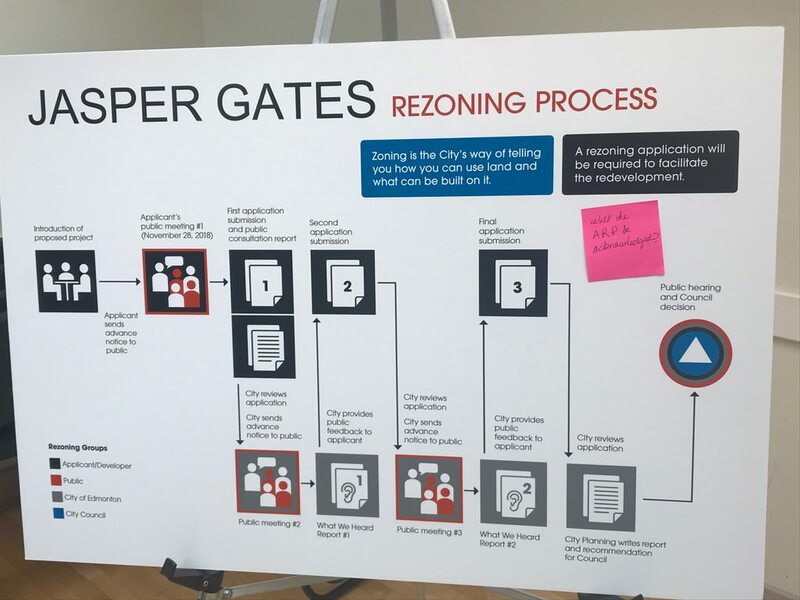 It says re-zoning though, so any chance some residential comes in here too? ooooh, this is exciting. With RioCan attached too! 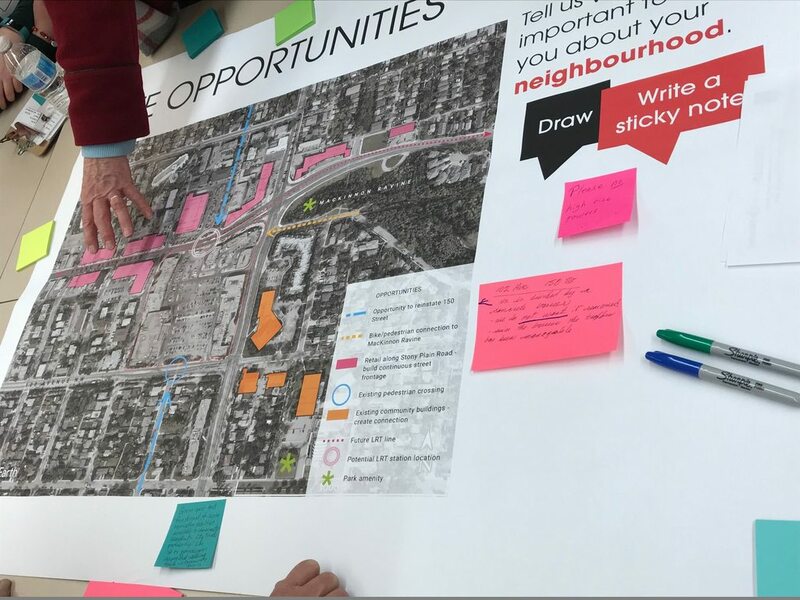 With an LRT station planned for that intersection, I'd say a TOD is likely. Very big potential for something interesting to happen here. It's about 30 years old, so a lot of the buildings and systems would be reaching end of life. As mostly/all pad-sites, it's a quick bulldoze and redevelop. On the other hand, it's pretty busy most days and they've done a good job keeping it mostly leased up, so kind of a bird in hand/bush thing. Safe to assume that the Safeway would be last to be touched. But the NE corner and East side with London Drugs might make sense to go up or do something similar to the Brewery District. ^Interesting. 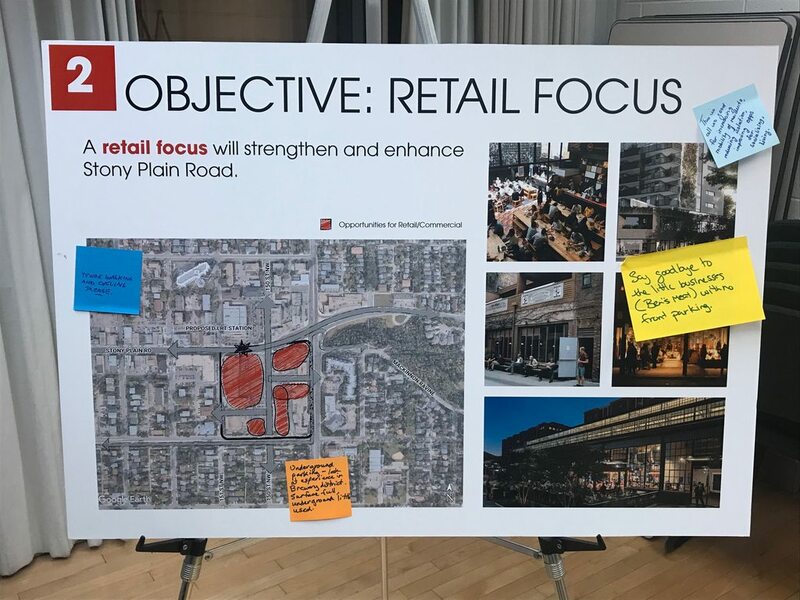 Rio-Can is making some significant inroads related to intensifying many of their 'under-utilized' sites in major urban centres. Especially sites along high capacity transit routes. Good on em. Last edited by Drumbones; 22-11-2018 at 03:55 AM. That freeway would never have been 100kph. 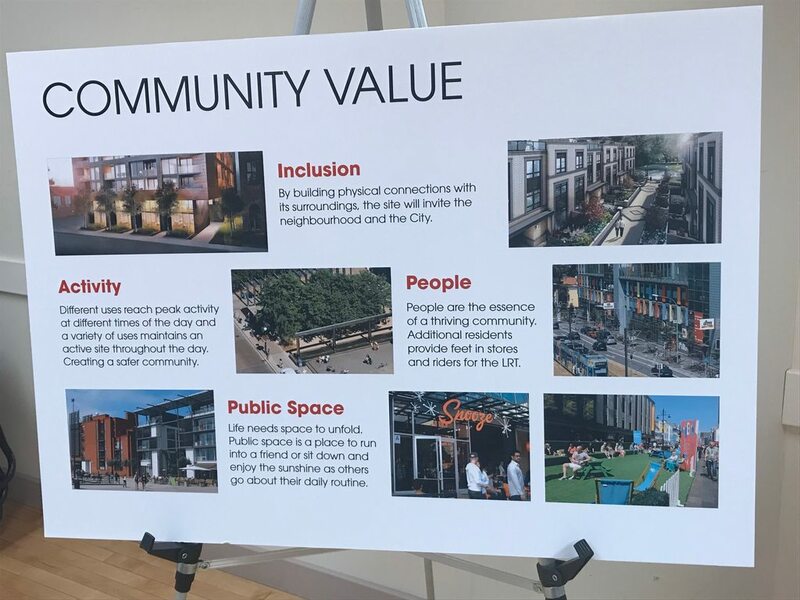 It would be great to see more residents in this part of town. Sorry. I’m an urban sprawl and freeway loving type. Spent too much time stateside maybe. 5 minutes maybe at 3am. Otherwise congestion would negate that. Regardless this freeway would have been an absolute disaster. Thankfully many of those ideas never really materialized. 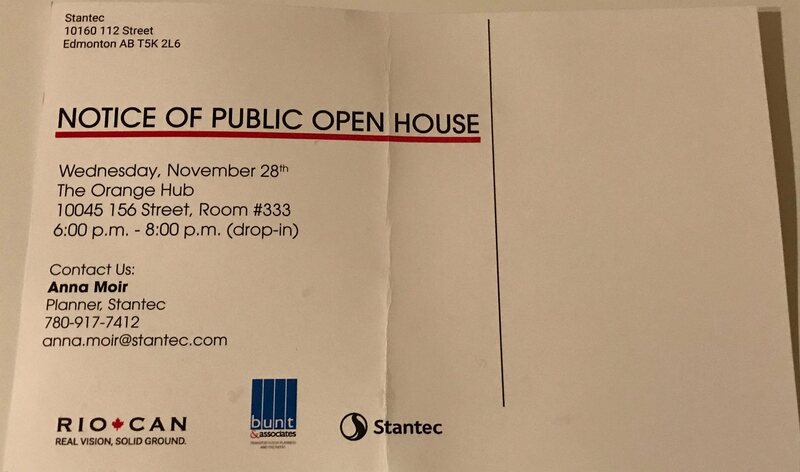 I attended the open house last night. 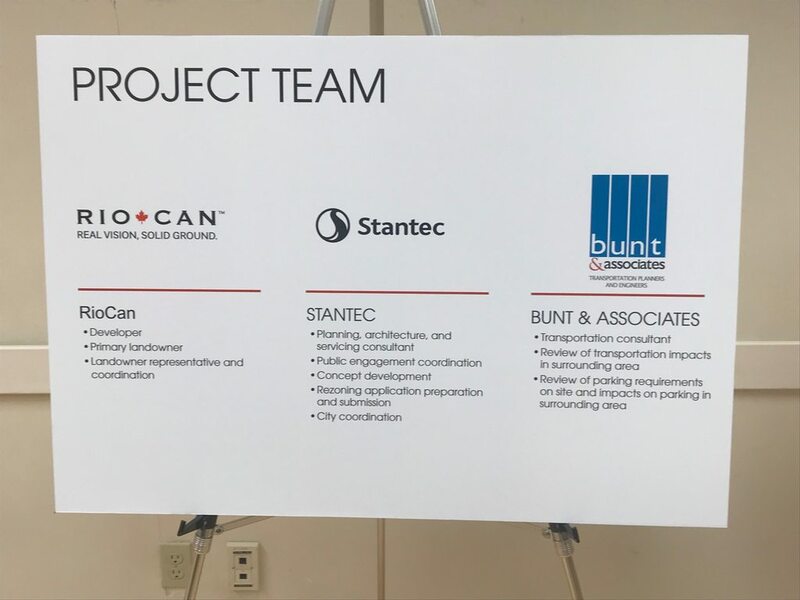 There were representatives of RioCan, Stantec and CoE present, as well as councillor Andrew Knack. Most of the display boards were fairly general, and I've copied them below if anyone is interested. 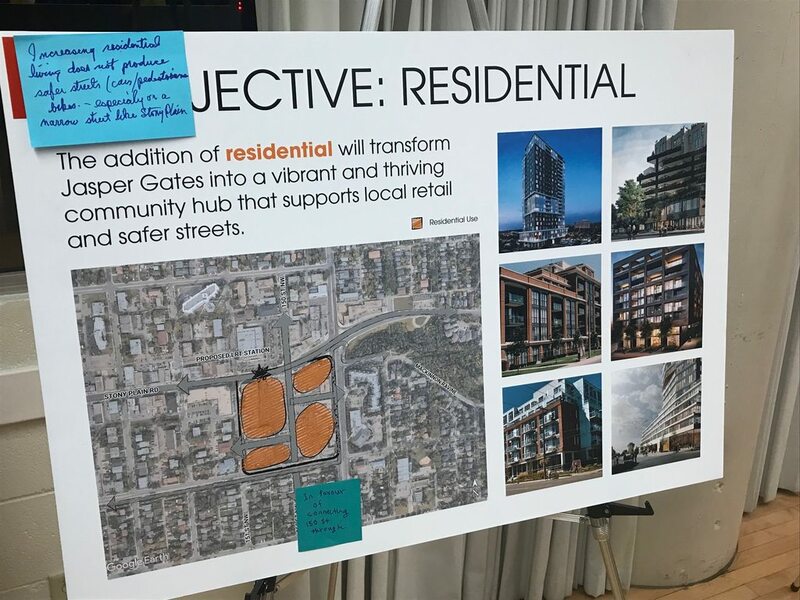 The rezoning is expected to go before council in Fall of 2019, and if approved the project will occur in stages to maintain access to anchor tenants, especially Safeway and TD Bank. 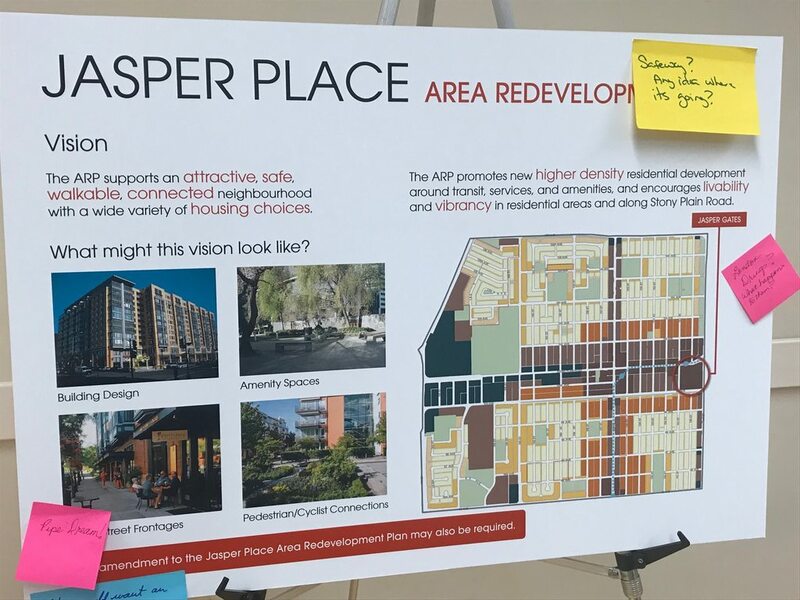 Those tenants would likely move into new space in the base of higher density buildings in the future. 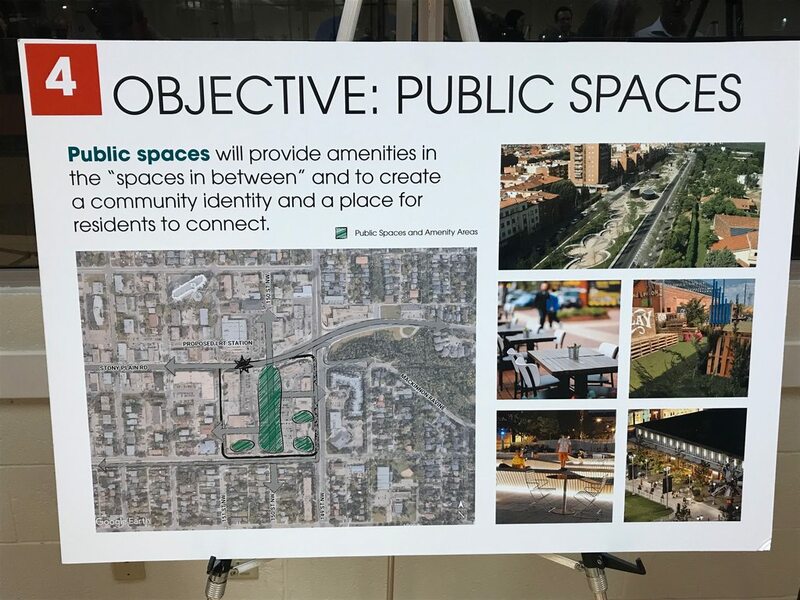 A significant green space is planned to run North-South through the parcel of land, one display board suggested that there was an opportunity to re-open 150 street. 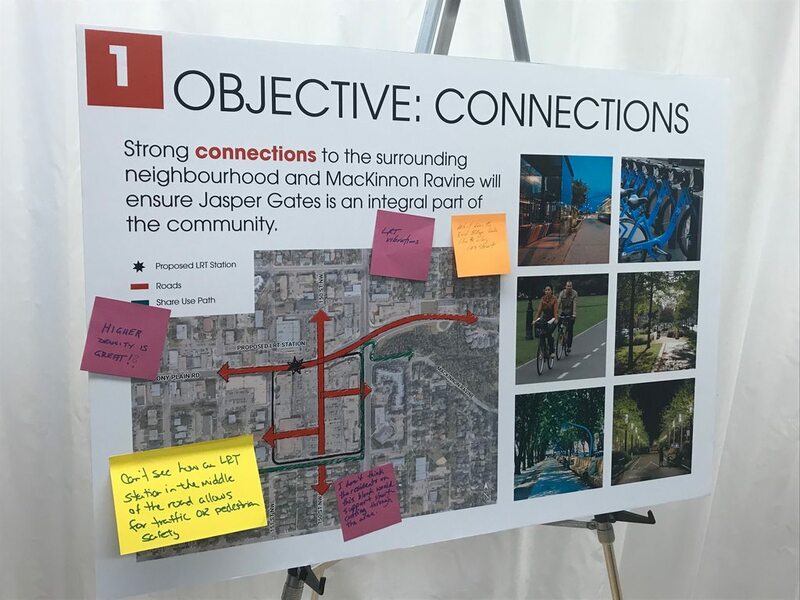 There was also some talk of strengthening pedestrian/bike connections to the MacKinnon ravine, which begins immediately across 149 street from this development. I'd like t see 150 street through the development used as pedestrian/green space as opposed to vehicle access. Use underground parking for all buildings so we don't end up with a sea of parking lots surrounding these spaces. With the LRT right at the site, parking restrictions could be reduced for the residential component. This is really, really great.